Short-term memory loss is a common and often frustrating problem that affects most women over the course of their lives. Everybody has some degree of short-term memory loss, as the brain is incapable of recording the immense amount of information that it is exposed to every day, but for some people, their memory worsens to the point where it becomes a problem. 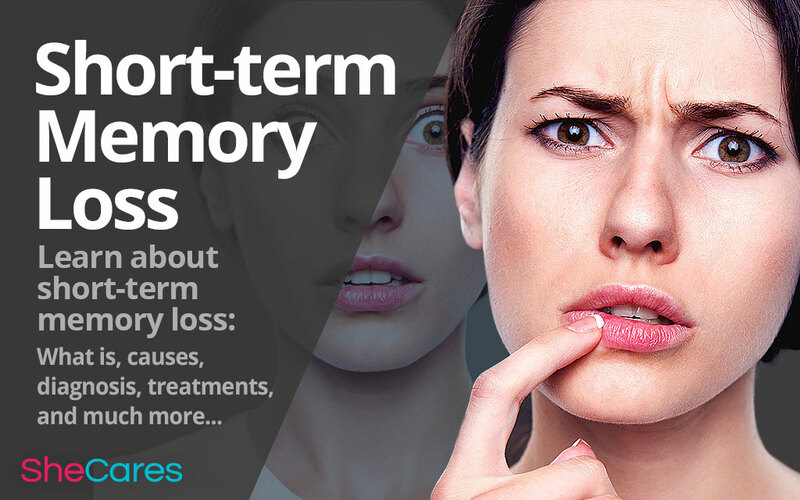 To understand more about short-term memory loss, read about its causes, diagnosis, and treatments. Short-term memory is the memory that helps you during day-to-day activities, and it usually lasts for up to a day. It gathers data from the day, both important and banal, anything from the color of a coworker's shirt to news of a close family member's engagement. There is also a part of short-term memory called working memory, which keeps certain information in mind for as long as it's needed. For instance, when reading, working memory makes sure that the beginning of a sentence is remembered until the end is reached. Stress. A hormone released because of stress can affect how the brain forms memories, and it also can make it harder to focus long enough to remember anything. Medical conditions. Certain changes to the brain that are caused by mental illnesses, especially anxiety and depression, alter how the brain forms memories. Hormone imbalance. Hormones, especially estrogen, influence memory, and a decrease in these hormones can cause memory problems. Fatigue. Being tired can also make focusing difficult, and losing sleep can make it difficult for the brain to keep memories. Medication. Certain prescribed medications like barbiturates can affect memory as well. Age. A certain amount of short-term memory loss is a normal part of aging. When short-term memory loss is more severe, it is advisable to visit a doctor in order to understand the cause of the problem - since it may indicate a life-threatening condition - and to examine future options. Memory loss is often measured by a psychological exam, one of the most common of which is the mini mental state examination (MMSE). In this test, a doctor asks questions and asks the patient to perform tasks to understand their level of mental functioning. This diagnostic tool is also often used to understand memory loss, although scans can typically only give information about the most severe of cases. This may include an MRI or a CT scan to investigate the appearance of the brain and how that may be connected to memory problems. Certain blood tests can also be performed; although these cannot discover the level of memory loss, they can be used to diagnose underlying conditions that may cause memory problems. For instance, a blood test can reveal thyroid issues, which may affect short-term memory. If the memory loss is severe or is caused by a medical issue, a doctor will help develop a plan of treatment. This may include changes in medications or starting a new medication for an underlying medical condition. Depending on the cause, short-term memory loss due to a medical cause may be stoppable or even reversible. Learning a new skill, especially for age-related memory issues. To learn how you can battle your memory lapses with more ease, check out some effective treatment options.